We List All the MadHatter’s Tea Party Dance 2019 Information. Friday, February 1st 06:00 PM – 08:30 PM @Woodbridge Golf Club 7400 Country Club Dr, Wylie, Texas 75098. 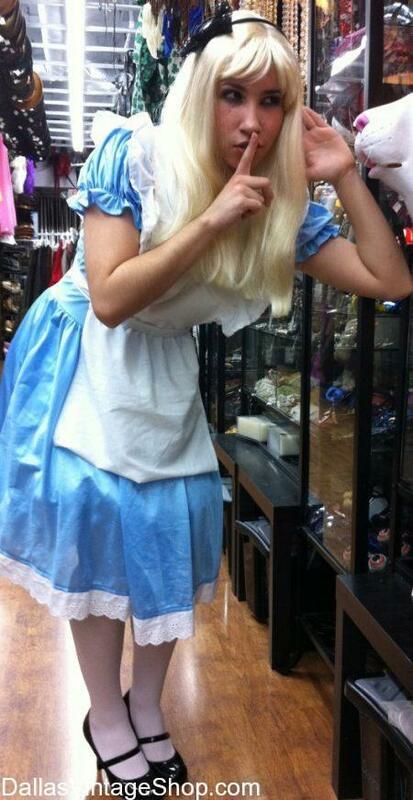 Find Alice in Wonderland and Mad Hatter Costumes and Accessories at Dallas Vintage Shop! You will find this Classic Alice In Wonderland, Alice Costume in our shop along with all the other cast of the Alice In Wonderland Classic Movie or the New Movie Version Costumes. This MadHatter’s Tea Party Dance: MadHatter Ball Outfit provided by Dallas Vintage Shop. This entry is filed under 2020 TBA (Q1) Daddy / Daughter Dances. You can follow any responses to this entry through the RSS 2.0 feed. Both comments and pings are currently closed.